CLINICALLY PROVEN TO REDUCE INFLAMMATION: This device doesn’t mask symptoms. PEMF helps reduce chronic and damaging inflammation which is the cause of pain. It does this by stimulating, recharging, and rejuvenating cells at the cellular level. CLINICALLY PROVEN TO IMPROVE MOBILITY: PEMF properly charges cells in our muscles to work harder and longer. Muscles contract and relax and recover better from tension and spasms with PEMF. NO MESS: This isn’t a TENS unit. No messy sticky pads, no long, tangled wires. No extra costs each month for replacements. Simply put it in the elastic velcro wrap, and wrap it around the problem area. I was a bit skeptical at first, but I gave it a try, since you have 30 days to try it. I generally use it on the left side of my back, it gets very tight and hurts from sitting. I also use it on my hip which gets VERY stiff from bursitis. After using my Oska, I can tell a big difference in the tightness in my back and mobility in my hip! I love my the way I can do many other chores and activities! A great deal for the money! It’s been about a month, I’ve used it most days as suggested with chronic long term pain (in my shoulder, back, and knees(they swell)). I work in an office, so I just put it on throughout the day there and it’t not a bother. I actually forget its on until it beeps. I am definitely feeling better. Less pain, more energy.I am anxious to see if I will continue improve as I use it. I’m cautiously optimistic, but really do think it is helping. I have fibromyalgia and have had it for years, and have tried every other option out there. This is definitely promising! 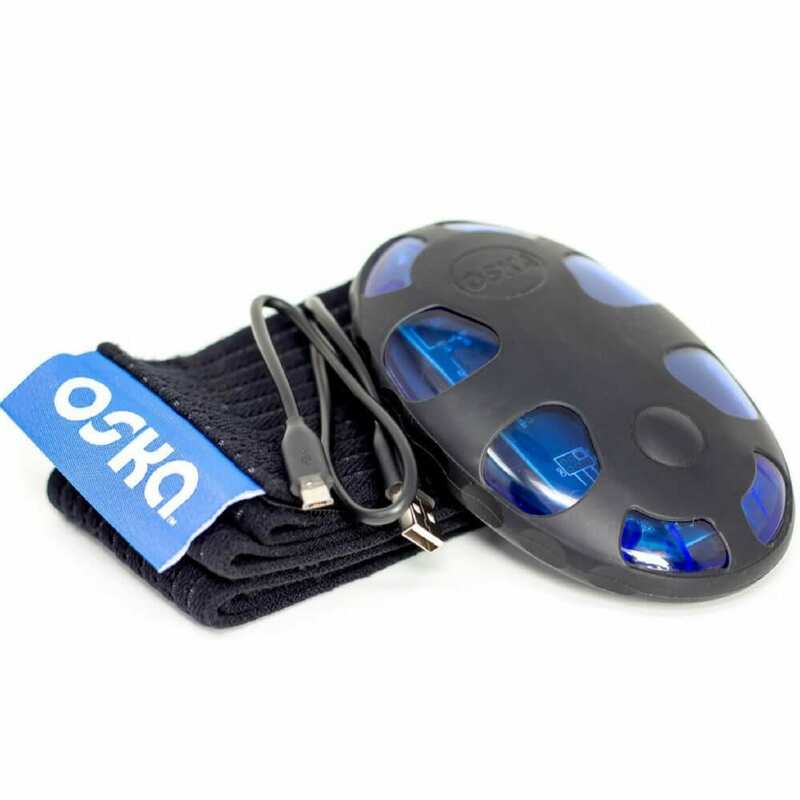 Oska PEMF has saved my muscles from being so sore. I have Lupus and I try to workout without sacrificing my body and this reallly helps. I use it before I workout and after as I’m going through my night routine, even if I don’t work out, I use it and it really helps my muscles feel less painful. This has helped bring my CRPS from a 9 to a 5. Also, I have fibro and very bad neck pain and my pain meds have been cut in half! This is a long-term game and I’m in it to save money on meds, doctor apps, and take the healthy route! So, this clearly works amazing, but you don’t feel anything, so don’t get discouraged! I use this everyday the same way I’d commit to my pain killers and I’ve decreased from 5 pills a day to 3 for my back pain, PMS and bladder pain. This actually stops my TMJ from being so painful too. I can’t believe it! SO WORTH THE MONEY. Plus I used my HSA card to pay for some of it! Very happy! I saw that someone used this for their Joint inflammation and TMJ. There is a 30 day money back guanrantee, so I tried it, used it 5x, even more when I was in pain and it makes a huge difference. I’ve cut down on Rx and now use this with CBD only. It’s been about 3 months so far. It took about a month FYI. The Oskar had been a life saver. For years, my husband been struggling with arthritis. This device has brought tremendous relief, enabling him to have a good night’s rest I have started using it add as well for relief of joint aches and headaches, and found it to be very effective. Thank you, Oska! Again, a lifesaver. Relieve joint pain whether it’s from a sports injury, short term pain, or chronic pain. INCREASED Circulation which helps promote healing in the problem area(s). No sticky wires, no mess, and doesn’t mask symptoms like a TENS unit. PEMF is known to promote healing by gently increasing blood flow to the area. WHO BENEFITS FROM OSKA PEMF PULSE? Those with back pain, knee pain, muscle and joint pain. It’s perfect for anyone with chronic inflammation and joint pain. For example, those with RA, Fibromyalgia, Lupus, & arthritis. We can’t forget about those with short-term pain and those with sudden pain from working out or small injury. Promotes recovery using PEMF technology which promotes the cells that make up your joints, bones, and muscle to function better. It doesn’t just mask symptoms like the TENS unit. Treats all types of pain – fibromyalgia, joint pain and inflammation, muscle pain & inflammation from sport’s injury, surgery, herniated discs, menstrual cramps, sciatica, tennis elbow and more! 100% drug-free – It’s an FDA registered, drug-free alternative to opioid for ongoing relief for knee, back, joint and muscle pain. When cells are injured or have degenerated(break down), they lose their electrical potential and are no longer able to exchange ions, causing inflammation and pain. Oska Pulse uses optimized PEMF to restore the electrical potential cells need to receive nutrients and oxygen, which stimulates cellular regeneration—relieving pain, and activating the body’s natural recovery process. What’s The Difference Between PEMF Pulse and TENS unit? The Oska Pulse can be used as long and often as you wish since there are no known adverse side effects. The more you use it, the more favorable effects accumulate. Can PEMF Improve Muscle Function? PEMF properly charges cells in our muscles to work harder and longer. Muscles contract and relax and recover better from tension and spasms with PEMF. Are There Clinical Studies On Therapies Like The Kind Optimized By Oska Pulse? There are many scientific clinical studies demonstrating the pain relief effects of PEMF signals. Please click here to be re-directed to the “studies” section to learn more. If you’ve lost the manual, please click here to download another copy. Does Oska Pulse Come With A Warranty? YES! 1-year standard warranty for manufacturer’s defect. IF you register with Oska Pulse, they will add another year from the date of purchase FREE of charge. Please click here to register. Can I Use Oska PEMF Pulse With Any Implantable Device? If you have any implant made from magnetic materials at the site of your pain, do not use this device in that area. Most implants today are non-magnetic though. Press the single button once. It will beep once and the internal LED lights will light up and pulse slowly. This means your device is on. Press the single button 3 (three) times. It will beep 3 short times and the LED lights will power off. This means it is now off. 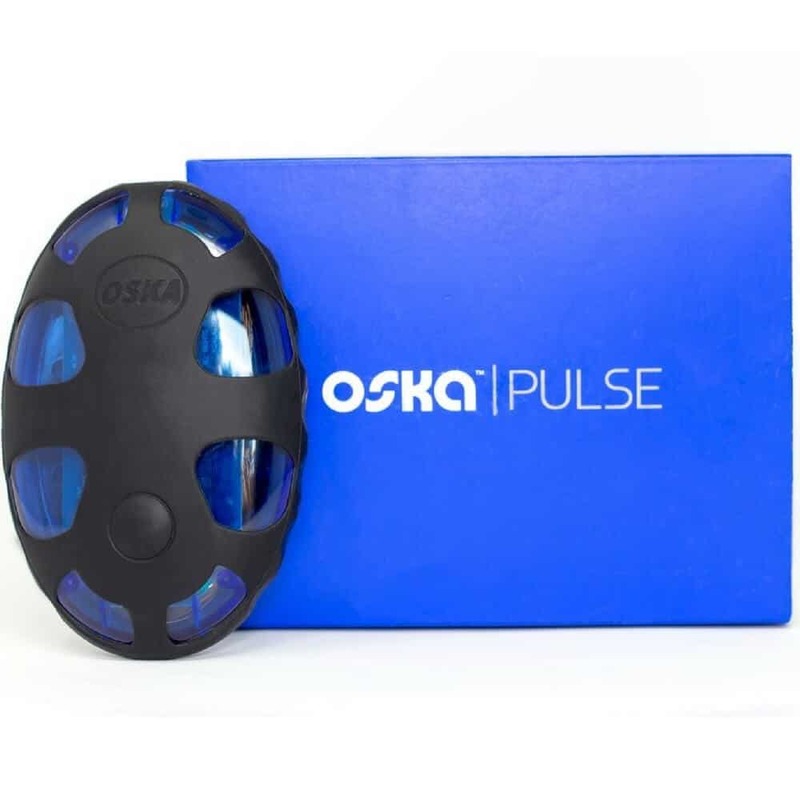 What If My Oska Pulse Doesn’t Light Up (turn on) OR Runs Less Than 30 Minutes Per Session? When Will I Need To Replace My Oska Pulse Device? The internal battery of the device is tested to last up to 4 years of regular use. You’ll need to replace it after the end of the battery life. How Does The FDA View Oska Pulse? It’s a wellness and lifestyle product that is available without a prescription and registered with the FDA as a class 1 medical device. It’s not intended to diagnose or treat any medical ailments. Real PEMF is completely safe and does not cause cancer if the pulsing frequencies are kept under 100 Hz. PEMF devices which generate higher frequencies are definitely dangerous and any exposure should be avoided! At Oska Wellness we stand behind our technology and the promises that we make. If you’re not 100% satisfied with your results, return your device for a full refund, and return postage. 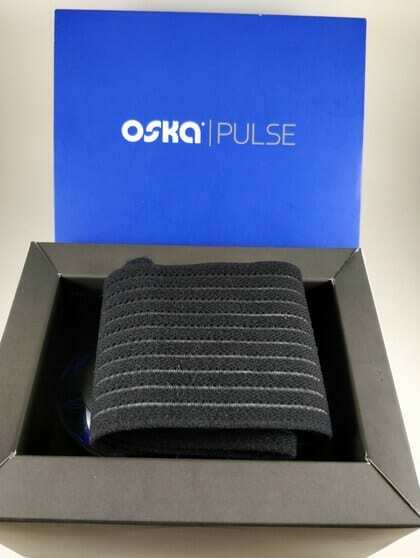 Your Oska Pulse is guaranteed to arrive to you in perfect condition. If your device is not working properly for any reason, we will replace it immediately, free of charge. 2. Returns must be approved by the Oska Wellness team first. 3. Devices purchased from unauthorized sources or resold by the original purchaser are NOT eligible for the money back guarantee or warranty. 4. The Oska Pulse device, compression wrap(s) and charging cable are ALL required to be returned to us (not just the device itself). 5. Refunds will NOT be processed until we have received the device and other components. 6. If the device has been damaged from mistreatment, exposure to water, or has been tampered with, the refund guarantee will be voided. Please contact Lupus Health Shop if you’d like to return your product, we are happy to help if there are troubleshooting problems or simply not happy with the results. How Often Should I Use The Oska Pulse? Day 1 to 7: Use Oska Pulse a minimum of 2-4 times a day. Day 7 to 30: Use Oska Pulse a minimum of 1-2 times a day. After day 30: Use Oska Pulse a minimum of 2-4 times a week. Day 1 to 7: Use Oska Pulse a minimum of 4-6 times a day. Day 7 to 30: Use Oska Pulse a minimum of 2-4 times a day. Day 30 to 90: Use Oska Pulse a minimum of 1-2 times a day. After day 90: Use Oska Pulse a minimum of 2-4 times a week. *Drink lots of water to help flush out the toxins from your body! What To Expect From Oska PEMF Device? Don’t be worried if you don’t “feel” anything. You won’t feel any tingling or “pulse”. It’s made by Oska Wellness so that it doesn’t distract you. You won’t feel a thing. Sometimes, you can feel slight warming in the area of use because there is increased blood flow. Sometimes, it can take several sessions before you begin to experience pain relief. This is normal, please follow the user manual for best results. You can use it many times throughout the day. Large compression wrap – this is an elastic velcro wrap that allows the PEMF device to rest on any part of your body. Whether it’s around your waist, hip, back, shoulder, wrist or knee. 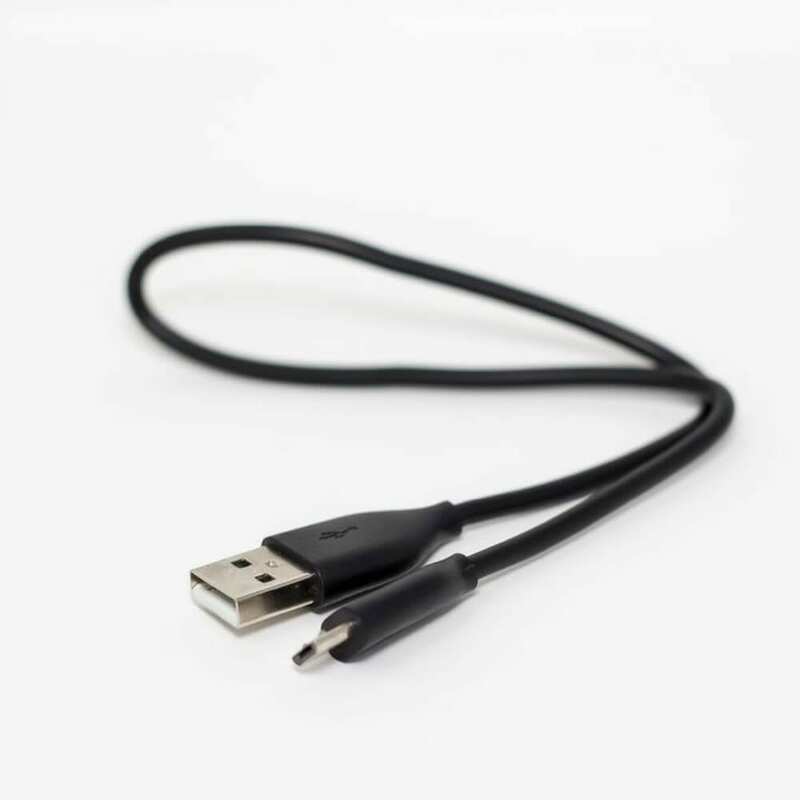 USB Cable to recharge PEMF device – can plug into popular USB wall mount chargers. AN FDA REGISTERED alternative to opioid use for ongoing relief for knee, back, joint and muscle pain. In other words, 100% DRUG -FREE ALTERNATIVE to chronic pain management. TAKE IT ANYWHERE: It’s so small you can put it under a long summer dress for your knee pain, around your hip if you’re out running errands, or simply on the couch and relaxing. 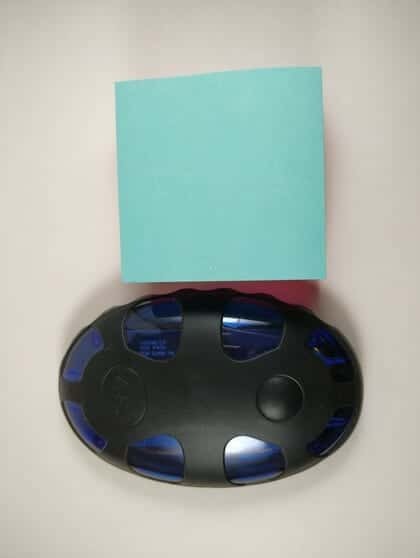 USE ANYWHERE, ANYTIME: It’s about the size of a sticky note. So, you can use this while cooking, cleaning, hanging out with friends or family and you’ll forget it’s even on! It’s quiet and you don’t feel it. IT TURNS OFF automatically after each session. It works up to 15-20 sessions each 30 minutes of use before it needs to be recharged. LASTS 4 YEARS with regular use before having to replace a battery – the internal battery of the device is tested to last up to 4 years of regular use. A mess free and FDA approved opiod alternative to managing chronic pain. Order today! You’re going to love this Hair Gains as much as me when you see how long, thick, and shiny your hair can be, order today!